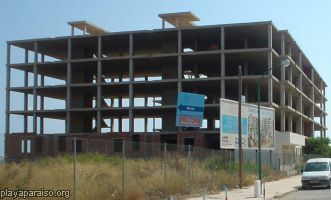 People are always asking if and when the ugly skeleton apartment block, on the beach between Playas Paraiso and Honda, is going to be finished or demolished. The Ley de Costas (coastal law), passed in 1988, set out to protect the shore by turning all beaches into public land and prohibiting the building of new residential zones within 100 metres of them. 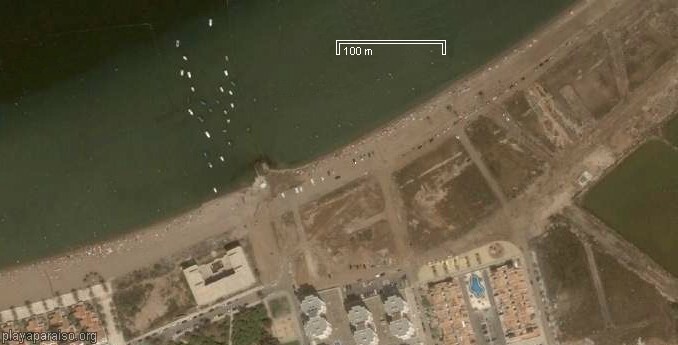 The problem is that urban-planning rules in Spain have often been ignored, and so, over the years, thousands of residential properties have been illegally built close to the beach, often with permission from local authorities. This is not relevant to older buildings (pre 1988) such as those along the promenade at Playa Honda and it would seem that all of Playa Paraiso is set far enough back from the beach for the rule not to apply. However, exactly where you start measuring from does seem to be open to debate. From the above diagram it would seem to be the edge of the beach, but other sources say the high water mark. Over the past year there has been a large increase in announcements and news items, that suggest that conservation and building laws are now being taken much more seriously in Spain. So it seems that this block should be demolished and anyway I'm told the internal structure has been exposed for too long. As to when this will happen and the promenade extended isn't clear. This really is a topic where feedback would be very welcome.